Patients trust healthcare professionals such as doctors, nurses, psychiatrists, dentists, chiropractors, podiatrists, hospital staff and other medical professionals to help them recover from illness and injury. Unfortunately, many people who turn to healthcare providers each year are injured by negligence or die from medical errors. 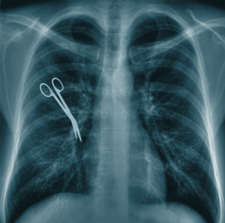 While some errors are simply the result of mistake, many medical errors are preventable. When a healthcare practitioner is careless or intentionally hurts a patient, a medical malpractice claim can be filed. To have a medical malpractice case, a patient must be injured by a medical error and the case must not be at the level of a crime. In these cases, the situation is known as a "tort," or civil wrong. In these cases, it is important to contact a qualified and experienced Florida attorney. Only a good Florida lawyer can investigate the case and determine whether the physician was legally responsible for injuring a patient. If a Florida can attorney can prove this, the healthcare professional can be held liable for their actions. The patient can also seek compensatory damages, which aim to put the patient in the same position they were before the injury. For example, if a doctor causes physical disfigurement to a patient during surgery, the patient can seek compensatory damages to help them get reconstructive surgery which will allow the victim to resume their normal life. Patients may also be able to seek punitive damages, which punish negligent or willfully malicious professionals and deter them from victimizing others. This is important, since it can help others from suffering at the hands of the same professional. At Flaxman Law Group, we have helped many patients through medical malpractice cases and we know how difficult such cases can be. It is often devastating to turn to a professional healthcare provider for help only to get neglect or injury. Feelings of betrayal are common. Worse, people affected by medical malpractice tend to be already in a vulnerable position and so tend to suffer more. Patients who are already seriously ill when they are affected by malpractice may find that their chances of survival or recovery are diminished. When a misdiagnosis or incorrect treatment affects a cancer patient, for example, that patient may get much worse or may even pass away as a result of the wrong care. There are many facets to medical malpractice. Malpractice can involve anything from missed or delayed diagnoses to a doctor not getting informed consent from a patient. Surgical injuries, anesthesia errors, obstetric/labor and delivery surgical injuries, and orthopedic surgical injuries are all common. In addition, some patients suffer from spinal cord stimulator injuries or from other injuries. Improperly prescribed, dispensed or filled medication is another common error that often causes serious injury and health problems. The unreasonable conduct of a physician or health care provider or patient neglect and nursing home abuse can also constitute medical malpractice. In all these cases, the situations that develop from negligence or willful harm can be very serious. Injuries caused by healthcare professionals can cause permanent injury or even death. If you have been the victim of medical malpractice, you need the help of qualified Florida attorneys. Sadly, without the help of qualified lawyers, you may not get the help you need — healthcare professionals are protected by powerful insurance companies. Flaxman Law Group can help ensure that you understand all your legal rights. We can fight for damages for you, so that you get the best treatment and health care possible after your ordeal. You can contact us online or call us at 866-352-9626. We can set up a FREE consultation to discuss your legal options or even answer your questions over the phone.